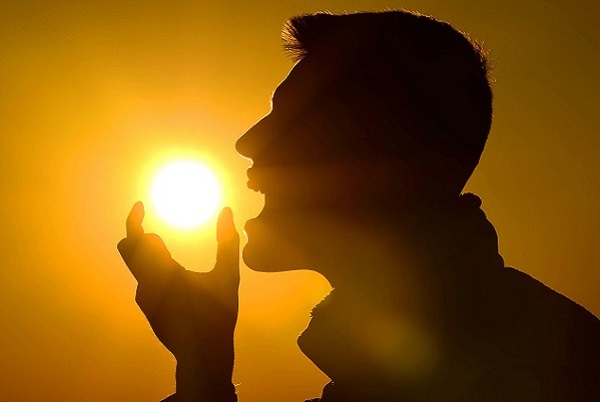 People with high levels of vitamin D have a lower chance of developing cancer, a study found. A comprehensive study involving over 30 thousand participants found that people with high levels of Vitamin D can lower the risk of developing cancer, specifically liver cancer. Vitamin D, otherwise known as “the sunshine vitamin”, is produced by the skin when exposed to sunlight. One of its most important functions in regulating the absorption of calcium and phosphorous to maintain normal function of the immune system. More so, Vitamin D is important for keeping bones and teeth healthy as well as strengthening the body against certain diseases. Previous studies have found that low levels of vitamin D can lead to bone abnormalities including osteomalacia and osteoporosis. According to this study, which was published in the journal, BMJ, people with higher levels of Vitamin D had a 20 percent decreased risk of developing overall cancer. Japanese scientists analyzed data from taken from the Japan Public Health Center-based Prospective Study, involving 33,736 male and female participants aged between 50 to 68 years. The participants had to provide detailed information on their medical history, diet, and lifestyle, as well as blood samples so as to measure the vitamin levels. Researchers accounted for the varying vitamin levels, as they shifted depending on the seasons. After doing so, the scientists split the participants into four groups, ranging from the lowest to the highest levels of vitamin D.
The participants were monitored for nearly 16 years, during which more than 3 thousand new cases of cancer were recorded. According to the study, higher levels of the vitamin were linked with a 30-50 percent lower risk of liver cancer, and this association was more apparent in men than in women. No link was found for lung or prostate cancer, and the researchers said that none of the cancers analysed revealed an increased risk associated with higher vitamin D levels. The results remained largely unchanged after controlling for additional dietary factors and after further examinations to test the validity of the findings. Researchers found that fish oil supplements may not actually boost the memory of children. Fish oil has long been established as a jack-of-all-trades type of supplement thanks to its wide variety of mental and physical health benefits such as improved sleep, improved memory, and a reduced risk for depression. However, a new study published in the journal, Plos One, claims that the memory-boosting benefits of omega-3 supplements do not apply to children. Researchers said that fish oil supplements were not effective in improving the reading abilities and working memory of school children, something which was also apparent among those with learning needs such as attention deficit hyperactivity disorder (ADHD). “Fish oil or Omega-3 fatty acids are widely regarded as beneficial. However, the evidence on benefits for children’s learning and behavior is clearly not as strong as previously thought,” said Thees Spreckelsen, a researcher at the University of Oxford in England. To reach this conclusion, researchers tested 376 children between the ages seven and nine, who did not do well in school. The participants were split into two groups, one of which had to take a daily omega-3 fish oil supplement while the other group received a placebo. This experiment lasted for 16 weeks. To make sure that the results were accurate, researchers asked the children’s parents and their teachers to test their reading and working memories before and after the investigation. 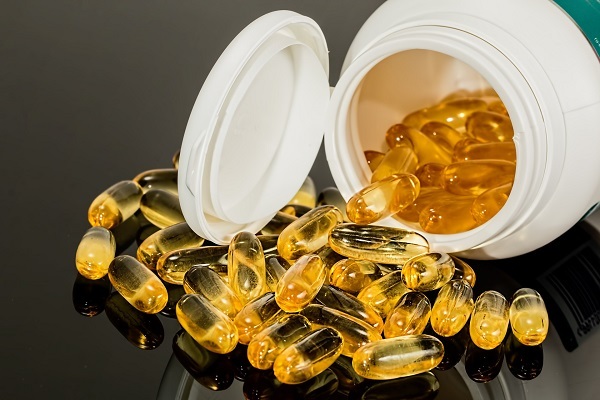 Thees and her colleagues revealed that the children who took fish oil supplement had little to no effect on their reading ability, working ability, and behaviors. The latest findings seem to contradict a similar study focusing on the effects of fish oil supplements in children, released in December 2017. In this study, researchers claimed that children who eat fish just once a week have higher IQs. While the effects of omega-3 fatty acids may be a little blurry in this area, they are still a reservoir of health benefits, shown to prevent cancer and asthma. 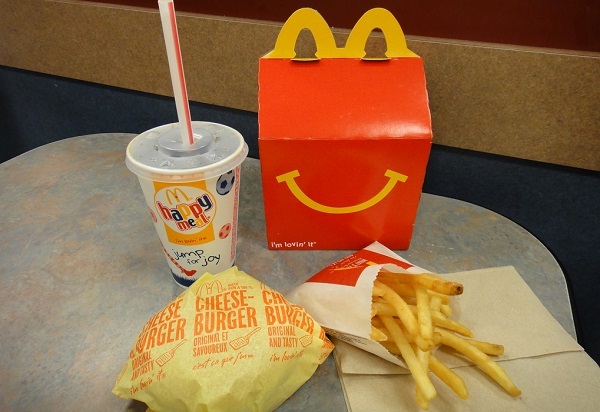 The McDonald’s Happy Meal will no longer contain cheeseburgers and chocolate milk. The most famous fast food chain in the world, McDonald’s, has tweaked its Happy Meal menu in an effort to cut down on sodium, saturated fat, sugar, and calories that its children customers consume. McDonald’s is thus taking off cheeseburgers and chocolate milk from its Happy Meal menu. While customers could still ask specifically for cheeseburgers or chocolate milk in their kid’s meal, the company hopes that not listing them would reduce how often they are ordered. In 2014, the company removed soda from the Happy Meal menu and ever since then there’s been a 14 decrease of Happy Meal orders containing this food type. According to McDonald’s, at least 50 percent or more of the kid’s meal options on menus will meet new global Happy Meal nutrition criteria by the end of 2022. This means that kids menus will have 600 calories or less out of which 10 percent of calories would stem from saturated fat, no more than 650 mg of sodium, and no more than 10 percent of calories from added sugar. Happy Meals will continue to offer Chicken McNuggets and Hamburgers, according to the company. The McDonald’s Happy Meal has long been criticized by health advocates and parents who linked the kid’s menu with childhood obesity. McDonald’s responded by tweaking its menus over the year, including cutting the size of its fries and adding fruit options. A recent change included replacing an apple juice option for one that has less sugar. According to the company, the new changes will be introduced in the US by June. The McDonald’s cheeseburger and chocolate milk did not meet the company’s new menu criteria, the company claims. However, McDonald’s has said that it is working on cutting sugar from the chocolate milk and hopes that the new option will be back on the Happy Meal menu eventually. The FDA has approved the use of a new blood test that can diagnose concussions. The US Food and Drug Administration (FDA) has approved a new blood test that can help doctors diagnose traumatic brain injuries known as concussions. According to the FDA, the blood test will be able to identify brain lesions which could have gone undetected if traditional detection methods such as CT scans were used. Called the Brain Trauma Indicator, this new test was developed to help determine the need for CT scans after head injuries, reducing unnecessary radiation exposure. According to FDA Commissioner, Dr. Scott Gottlieb, the approval was made as to ensure “that each patient is getting the right imaging exam, at the right time, with the right radiation dose”. The test is designed to detect two proteins present in brain cells that can leak into the bloodstream following a potential concussion. Banyan Biomarkers, the company that developed the Brain Trauma Indicator, claims that the test can detect brain injuries within 12 hours of the incident. Patients with a positive test would then be required to get a CT scan to confirm the results and determine if surgery or other treatment is needed. According to Banyan Biomarkers, the blood test would first be used in emergency rooms, however, the company hopes that it will eventually be used on football fields as well as on battlefields. There were approximately 2.8 emergency department visits in the US in 2013 for evaluation of potential concussions, according to the Centers for Disease Control and Prevention. The FDA claims that most people with concussion symptoms have a negative CT scan. 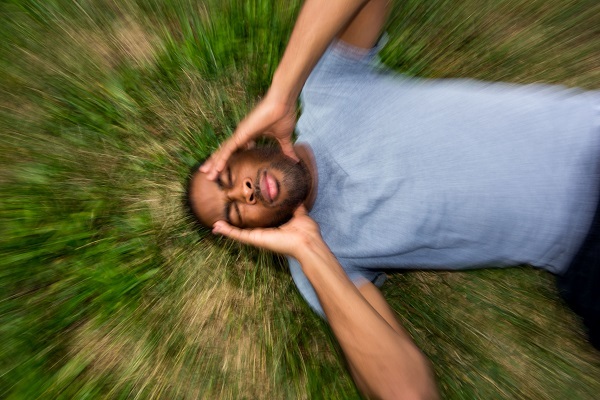 Concussion symptoms include impaired thinking or memory, movement, sensation or emotional function. The agency said gave the go-ahead for the blood test after it correctly predicted the presence of brain lesions 97.5 percent of the time. The test was conducted on about 2 thousand blood samples obtained from adults with suspected concussions. E-cigarette flavor liquids may still cause lung damage once inhaled, a new paper suggests. A new US study showed that e-cigarette flavor liquids, especially those with cinnamon and vanilla flavorings, may cause damage to the lungs even when they don’t contain nicotine. Researchers from the University of Rochester Medical Center focused on the potential effects that flavoring chemicals have on monocytes, a type of white blood cell. 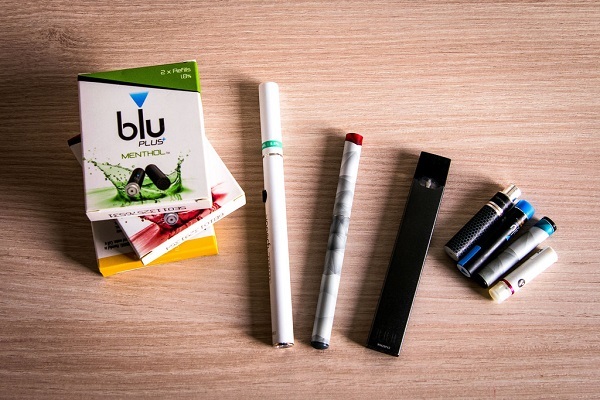 All of the e-cigarette flavor liquids analyzed did not contain any traces of nicotine, however, the flavoring chemicals were still reported to cause tissue damage and inflammation. The cells who were exempt from the chemicals’ effects would instead die. When exposing human lung cells to the liquids, researchers noticed an increased production of inflammation-related chemicals that were known to cause various types of lung damage. These include asthma, fibrosis, and chronic obstructive pulmonary disorder. The adverse effects of smoking flavored e-cigarettes are not immediate, however, the compounds may accumulate over time. “Our data suggest that the flavorings used in e-juices can trigger an inflammatory response in monocytes… providing insights into potential pulmonary toxicity and tissue damage,” the researchers noted. E-cigarettes convert flavoring and liquid nicotine into vapor that users inhale. A number of health experts have pushed these devices as a healthier substitute to smoking cigarettes, due to the flavoring chemicals’ comestible nature. The researchers said that, even though the chemicals are ingestible, they are not safe for inhalation. Out of all of the liquid flavors examined, vanilla and cinnamon were found to be the most toxic for lung cells. 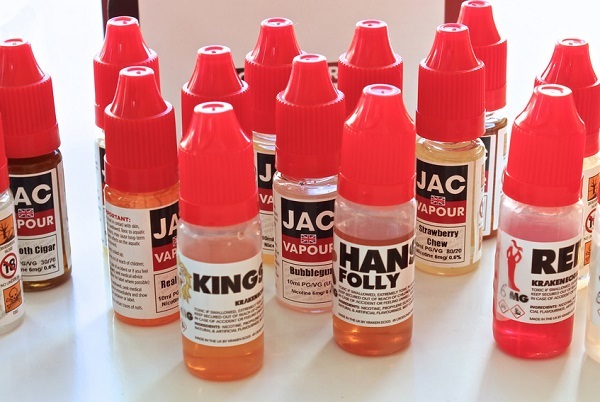 Lead author of the study, Irfan Rahman, urged e-liquid flavors be regulated and that all e-juice bottles must have a descriptive listing of all ingredients. According to the US Centers for Disease Control and Prevention, 3.2 percent of Americans are e-cigarette users as of 2016. In that same year, they found 4.3 percent of middle school students and 11.3 percent of high school students to have used e-cigarettes in the past month. The study was published in the journal, Frontiers in Physiology. The FDA is pointing out, once again, that kratom contains opioids. Recently, Dr. Scott Gottllieb, who is a US Food and Drug Administration Commissioner, warned the public about the dangers of the herbal supplement kratom. This is marketed as an alternative treatment for pain, but it seems that things aren’t that simple. On Tuesday, Gottlieb released a statement in which he said that they have no evidence to support the claim that kratom is safe to use, or even effective in treatments. He further explained that kratom contains opioids, which is the addictive family of drugs found in the middle of a national drug abuse crisis. 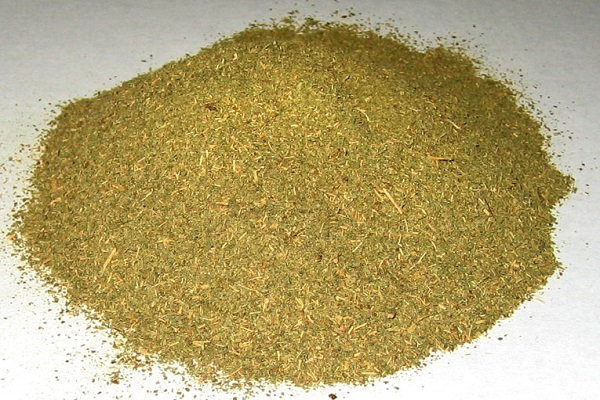 The kratom plant is native to Malaysia and its leaves are usually crushed and made into tea. Then, people drink this to alleviate their pain and/or the heroin or morphine dependence. Moreover, some use it as a help in trying to reduce withdrawal cravings. The American Kratom Association claims that in the present, there are 3 to 5 million users in the U.S.
Kratom can be easily found in gas stations or head shops, for instance. It comes in the form of pills, powders, capsules or energy drinks, and is loosely regulated by the FDA. However, the Center for Disease Control and Prevention discovered that there are ten times more calls targeting kratom made to poison control centers. The data it released refers to a 5-year period, between 2010 (when there were 26 calls) to 2015 (263 calls). However, the side effects were minimal to moderate, only 7% of them dealing with serious consequences, and there was a sole death reported. Still, the FDA is still worried about the fact that kratom contains opioids. Back in 2016, the Drug Enforcement Administration declared that it wants to put kratom on the list of controlled substances. This means it would respect the same regime as LSD or heroin. At the time, there was a public outcry, and the DEA had to withdraw this plan. Ever since then, it has not taken any action, but many people are worried about the use of this plant. Forner Google and Facebook employees have formed a group to tackle tech addiction. Former staff at Facebook and Google have partnered up to curb tech addiction stemmed from social media and smartphones. The resulting organization is called the Centre for Humane Technology, and according to them, big tech firms like Facebook, Instagram, Twitter, and Google are trying to keep users glued to their platforms in an effort to make more money. The group officially launched on February 4, and their sole purpose is to raise awareness about the dangers of technology. “The race for attention forces social media to prefer virtual interactions and rewards (likes, shares) on screens over face-to-face community,” says a statement on the group website. According to the group, social platforms like Snapchat alter children’s perception on what it means to be a friend, Instagram “glorifies” life while at the same time eroding self-worth and Facebook fragments communities and isolates the individual. The Center for Humane Technology is supported by the non-profit organization, Common Sense Media, which provides education and advocacy to families to promote safe tech and media to children. They are planning an anti-tech addiction lobbying effort as well as an advertising campaign called The Truth About Tech which will target US public schools. Commons Sense Media will back these two endeavors with millions of dollars in funding. 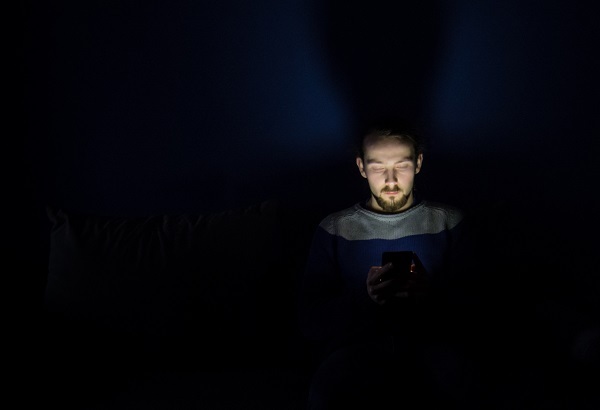 Tristan Harris, the head of the newly formed group and former ethicist at Google, criticised the company’s practices claiming that they were designed to instill tech addiction from the start. “We know what the companies measure. We know how they talk, and we know how the engineering works,” Harris said. Tech addiction be it from social media, smartphone use, or both, has been a heavily debated topic in the past months. Facebook recently announced that it would be launching a messaging app that targets children called Messenger Kids. The decision was faced with backlash from mental health professionals. Last year in December, a former Facebook executive criticized social media as a whole and claimed that his former employer is “ripping apart society”. Low amounts of red wine and alcohol, in general, may be effective in keeping the brain healthy. A new study suggests that low amounts of alcohol have great health benefits on the brain. Red wine, in particular, was shown to alleviate inflammations and rid the brain of toxins, some of which associated with Alzheimer’s disease. A team of researchers from the University of Rochester Medical Center focused on how both high and low levels of alcohol affected the brains of lab mice. Published in the journal, Scientific Records, the study explores the brain’s glymphatic system, or how the brain is able to “flush” toxic cells. Researchers explained how the brain is able to rid itself of toxic beta-amyloid and tau protein by pumping a substance known as cerebral spinal fluid (CSF). Previous studies have linked the two proteins with Alzheimer’s disease and other forms of dementia. The study revealed that mice who received a high intake of alcohol over a long period of time lost some of their motor skills and cognitive functions, a side effect of an inflamed brain. However, the mice who ingested the equivalent of two and a half glasses of wine a day registered lower levels of brain inflammation. More so, their CFS proved to be more efficient in killing off eliminating toxic proteins. “Studies have shown that low-to-moderate alcohol intake is associated with a lesser risk of dementia, while heavy drinking for many years confers increased risk of cognitive decline,” states Maike Nedergaard, co-director of the Center for Translational Neuromedicine at URMC. While other studies have established a link between red wine intake and a healthy cardiovascular system, this is the first time a study has shown that alcohol can be good for the brain. Another study conducted by Louisiana State University revealed that certain compounds found in wine could help surgical treatments. 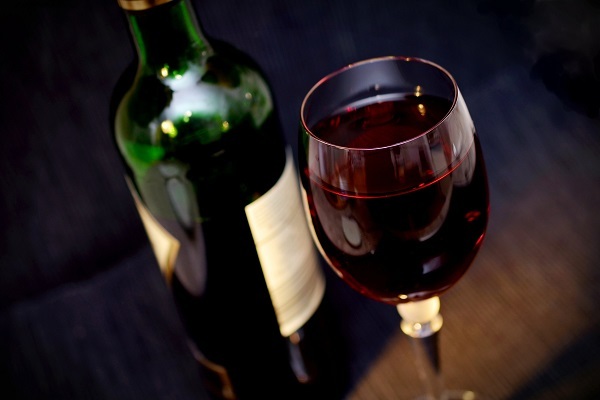 This study’s lead author, Dr. Tammy Dugas, said that delivering red wine antioxidants during conventional angioplasty may prevent excess tissue build-up and blood vessel narrowing. Obesity may be triggered by living in predominantly overweight communities, scientists believe. Obesity is a common health condition among Americans, with 1.9 billion adults, 18 or older, suffering from it worldwide, according to the World Health Organization. A new study revealed that condition may be transmitted by other people, to the point where the condition was dubbed a “social contagion”. 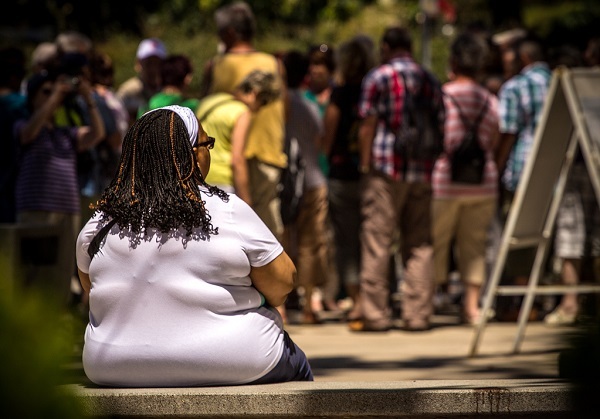 “Social contagion in obesity means that if more people around you are obese, then that may increase your own chances of becoming obese,” notes one of the study’s authors, Dr. Ashlesha Datar. According to Dr. Datar, if somebody were to move into a community or town with a high rate of obesity, then that person would be assimilated into their way of life. For the study, researchers looked at military families, as they were considered viable candidates mainly because they have no choice over where they are assigned. In total there were 1,314 parent and 1,111 children, spread across 38 different locations across the United States. The states accounted for in the study were placed at different ends of the obesity spectrum. El Paso County, Colorado, for example, was at the low end of the spectrum with around 21 percent of its population being obese while Vernon County, Louisiana, registering a 38 percent obese population. The study revealed that families who were assigned in counties with high obesity rates were likelier to become overweight or obese, and vice versa. According to Dr. Datar, parents living in El Paso had a 29 percent lower chance of becoming obese while the child’s chances would decrease by 23 percent. The research also took into account environmental factors that would have allowed increased obesity rates. Researchers looked for gyms or fast food restaurants located in each region to have an accurate representation of each obesity rate. While environmental factors did influence higher or lower rates for the condition, they did not account for all cases, according to the study. Dr. Datar said that shared environments did not play a critical role in explaining their results. The study was published in the journal, JAMA Pediatrics.